What’s lurking outside? Has the world ended? Or are we, the audience, and Michelle (Mary Elizabeth Winstead) being holed up in a bunker under false pretences? 10 Cloverfield Lane’s claustrophobic story closely orbits these central questions. The film’s success hinges on its ability to convince us there’s genuine ambiguity and mystery about what’s happened to the real world. It’s a thriller in its most pure form. The problem is we already know the answer. 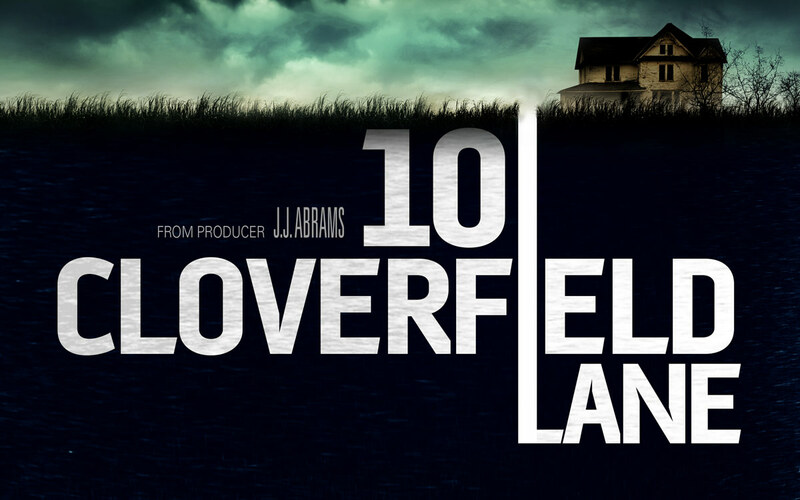 10 Cloverfield Lane is the spiritual successor to J. J. Abrams’ 2008 found footage film Cloverfield. While the trip down Cloverfield Lane is directed by a new man, Dan Trachtenberg, and bears little resemblance to its predecessor’s reliance on shaky cameras, it still exists as a franchise under the shadow of Abrams’ film. For anyone who saw the original it remains near impossible not to guess the outcome. Unless you’re Hitchcock it’s incredibly tricky to keep a mystery thriller engaging once the focal twist is gone. There’s a reason nobody watches The Sixth Sense anymore. But let’s just take a step back and look at the film from a cinematic vacuum, as implausible as that is, where we have no prior knowledge of the Cloverfield world. Does the film fare any better as a stand-alone entity? The answer, which of course is the answer to every academic essay ever written, is yes and no, with a greater leaning to the latter end of the spectrum. The plot, as I touched on earlier, is intriguingly simple. Michelle, an ordinary twenty something girl, crashes her car and wakes up in a basement chained to the wall with her leg now in a brace (as you do). It soon becomes apparent that Michelle’s saviour, in more ways than one, is hulking conspiracy theory crackpot Howard (John Goodman). Much to Michelle’s disbelief, Howard explains there’s been an “attack” on the USA and that the outside world is now off-limits. As a result, Michelle, along with local hillbilly handyman Emmett (John Gallagher Jr.) are indefinitely trapped under house arrest in Howard’s purpose built bunker. 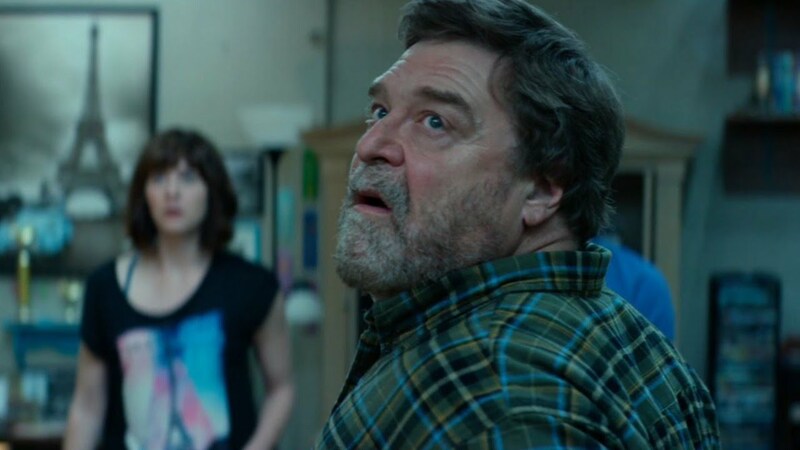 10 Cloverfield Lane operates almost exclusively within the boundaries of Howard’s bunker. With a single location production there are several ways to tackle such a scenario. Rope utilises the singular setting to dazzle the audience with an apparent one take film, Room paradoxically creates a whole world out of a tiny space, while Misery presents the limited confines as a prison cell closed off from reality. Trachtenberg veers towards the latter for his portrayal of life in the bunker with Michelle desperate to leave Howard’s rule – as opposed to James Caan crawling away from a crazed Kathy Bates. The problem is that Trachtenberg fails to convince us that life in the bunker is all that awful beyond the prospect of fraught monopoly games and endless Pretty in Pink screenings. There’s certainly no ankle smashing level of horror that emphatically drives Misery’s story. Instead, Cloverfield’s bunker is a civilised, homely habitat. There’s plenty of food and drink, board games and DVDs for entertainment, as well as working utilities. Even Howard, erratic and suspicious in both his motives and temper, can hardly be suggested as a truly despicable captor. Goodman, with his gruff military like persona, portrays Howard as a long lost cousin to The Big Lebowski’s ‘Nam Vet Walter Sobchak. He’s far from likeable, but he’s also far from horrid. Howard’s framed as increasingly volatile but his behaviour is always in reaction to Michelle or Emmett’s attempts to undermine him. The fact he doesn’t throttle Michelle for smashing a bottle over his head while trying to escape seems quite generous. In what feels like a final act of desperation to vilify Howard, there’s a sub-plot about him potentially kidnapping and murdering a young girl. The whole angle fits awkwardly into the plot before vanishing entirely from conversation, an admittance of its own flimsy foundations. A majority of the film’s issues stem from a cripplingly weak screenplay. Despite being the brainchild of three, including Whiplash writer and director Damien Chazelle, it’s bland and trite. If we don’t hate Howard, then it’s imperative that we like Michelle and Emmett to support their plight. Unfortunately both are instantly forgettable. The duo, and script writers, appears at their very worst during an excruciatingly corny conversation about their troubles with taking the difficult option in life – cue heroic redemption later on. Similarly the film fails to successfully build any sort of pulsating tension or suspense throughout. Everything is just flat. We never feel on edge, we never feel a sense of encroaching claustrophia and, worst of all, we never feel for any of the characters. Even the odd nods to pop culture via Howard’s limited DVD collection and jukebox feel like token gestures to fill the vacuum. The only real danger in Cloverfield Lane is being bored to death. Any attempts to escape the bunker’s confines are a welcome relief for the audience as much as the protagonists. 10 Cloverfield Lane does eventually jolt us out of our stupor, unfortunately it’s with one of the worst endings in recent memory. Without giving too much away, the climax is totally at odds with the rest of the film. The incongruous ending reeks of a higher studio power inflicting its blockbuster whims on a rookie director. On paper 10 Cloverfield Lane promises a Christopher Nolan-esq matching of mainstream and arthouse worlds, disappointingly what lies beneath is bland and predictable in equal measures. This is one sequel that never should have seen the cold light of day.